Peter Wells is an ambitious driver in the tough world of motor racing. But his dedication to his sport and his single-mindedness put his marriage at risk off the racetrack and his life at risk on it! 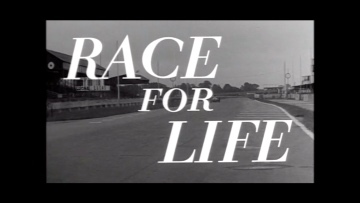 This film features appearances by several prominent motor racing personalities of the day, as well as Raymond Baxter, who became a famous face to millions as a presenter of BBC TV’s “Tomorrow’s World”. Look for Richard Marner as Hans Brecht, who went on to find fame as Colonel von Strohm in BBC TV’s ‘Allo ‘Allo.